Firmness; Utility & Delight -these are the three basic purposes architecture must serve as defined by Vitruvius, the ancient Roman architect. Being the mother of all art forms, the creations of an Architect are live testaments of his work which are timeless. No Architect can disown or deny his work. 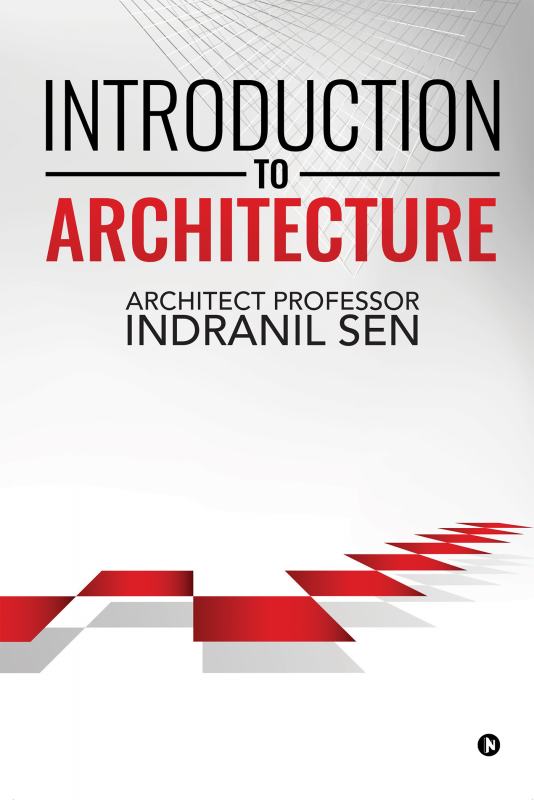 The purpose of this book -Introduction to Architecture- is to act as an initiation to this noble subject for newcomers and simultaneously be a refresher for experienced professionals. A line is not only a line in Architecture. It is a part of a dream. A dream nurtured by the interplay of solids and voids, light and shade, colour and texture, foreground and background against a canvas called Nature. Since the target audience of this book is primarily fresher’s, the contents of the book has been kept plain and simple. The idea is to inculcate the basics of this learning called Architecture and prepare them mentally to take the wonderful challenges in life as successful Architects. Indranil Sen was born in Kolkata and is an architecture graduate from the Bengal Engineering College, Sibpur, (erstwhile BESU and now IIEST). He has been a serious professional ever since. In the last glorious thirty-six years of his career, he has worked in senior positions with leading architectural organizations. The footprints of his project exposure can be found in eight countries, including Oman, Mauritius and Bangladesh. He has also worked on projects across India. He has also acted as External Jury on invitation from IIT Kharagpur, Dep’t. of Architecture for assessing the Project Dissertation and conducting Viva-voce Examination for the Final Year B Arch. Degree Thesis program. He has travelled extensively nationally and internationally and during this time, has worked on several prestigious projects with well-known architects and engineers. Presently, he is a practicing architect in Kolkata and is the Principal Architect in Interface Design Studio, a firm jointly owned with his architect wife. He is also a visiting faculty in the School of Architecture, Techno India University, Kolkata.